A lot of great work done this weekend at our first chef camp – Friday night spent creating their menus and shopping lists for the meals they were cooking. All mucked in to cook a full english on Saturday morning before popping down to Sainsbury’s to shop for their ingredients. 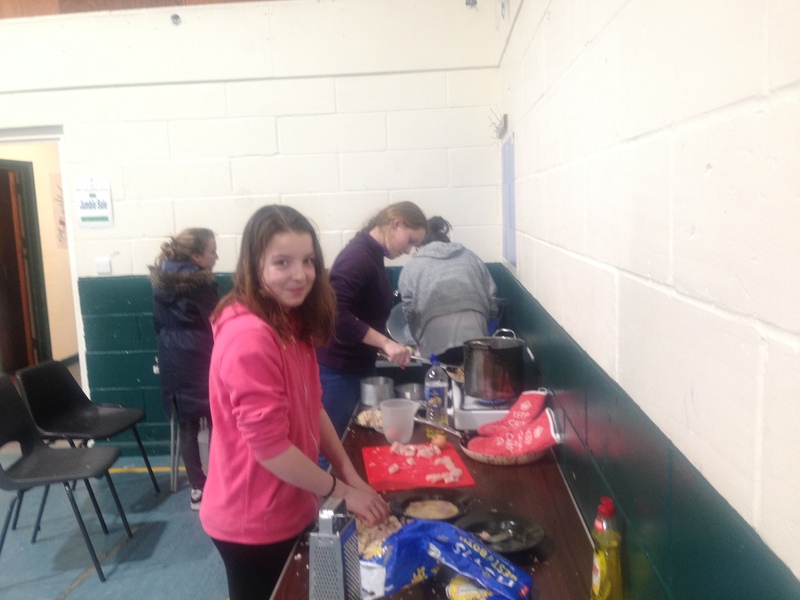 On their return the first teams cooked their meal using the gas stoves, after clearing up they pitched their tents, chopped some wood and then the second teams cooked their evening meal. After some time relaxing in the evening the scouts all camped outside for the night. 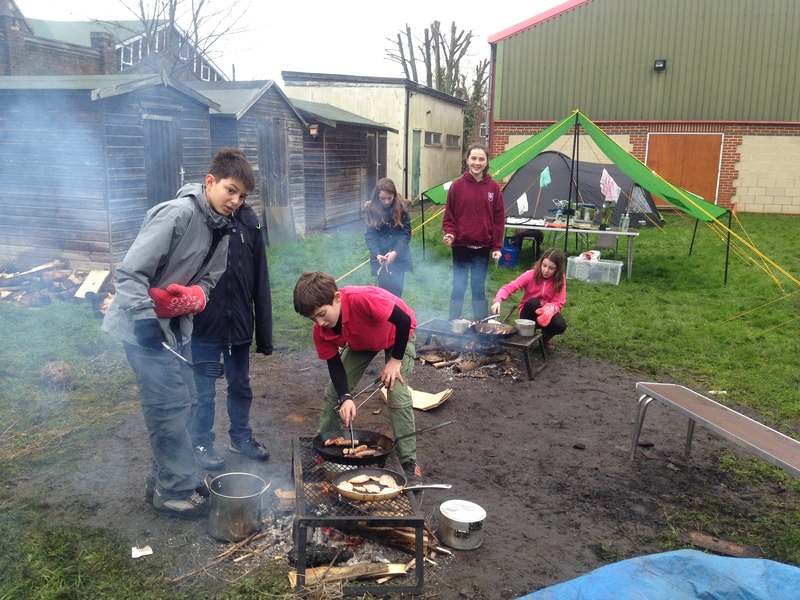 On Sunday morning they then got their fires going and, eventually, cooked their breakfast and lunch on a wood fire. Over the weekend the scouts cooked and ate a variety of meals ranging from carrot and cucumber sticks, fish finger wraps, quorn stir fry with noodles, ham and mushroom omelettes, breaded chicken with mash/peas, chicken kebabs, salmon fish cakes, fruit kebabs, fruit salad/cream, toasted marshmallows, smores and pancakes. Hopefully they are now all helping out at home with the washing up – they’ve had plenty of practice. More photos on Flickr…..